From 1978 the club was based on Wincanton Racecourse in the Winter and Tinker’s Hill near Gillingham (the Dorset one) in the Summer. 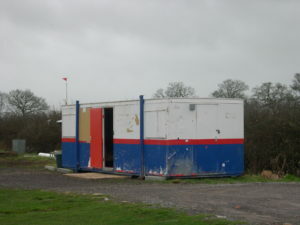 When Wincanton Racecourse was re-developed in 1990, the club rented a field between Templecombe and Buckhorn Weston all year round. In 1992 we moved to Sutor Farm near Wincanton and had 8 happy years on a permanent site that we could improve and was a good way from any habitation, for an ever increasing rent. All was well and copious amount of money and effort were put into our site, it was drained, electric fenced, large car park made. However , in early 2000 it was clear that we could not continue on the site and meet all out landlord’s needs. So in early 2000, the Committee decide to see if we could buy our own field. 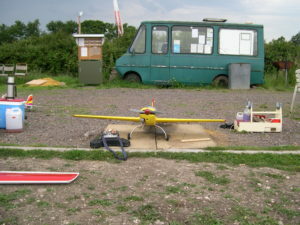 After a search, a suitable site was found and a price negotiated with the owner, on condition we could get planning permission for change of use to a model flying field. 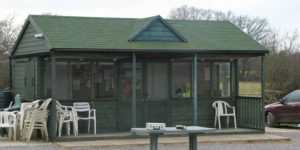 After many meetings and discussions, and with the generous support of the club membership, we gained planning permission in April 2000 and completed on the sale. So at this point we were the proud owners of 8.5 acres (in old money) of prime unused agricultural mud. But it was our field and we could control our own destiny, improve it as much as we like and do not have to leave it behind again. 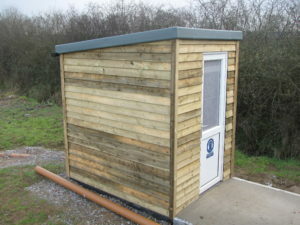 If your club is contemplating buying it’s own site then do it, perhaps we can help you with practical advice on funding and planning permissions.